Check out Tobi's At Ease Sweatshirt Shift Dress Take it easy in the Black At Ease Sweatshirt Shift Dress. With a scoop neck and cap sleeves, this sweatshirt dress has two side pockets for effortless style. Team this casual mini dress with booties for your weekend mooching. 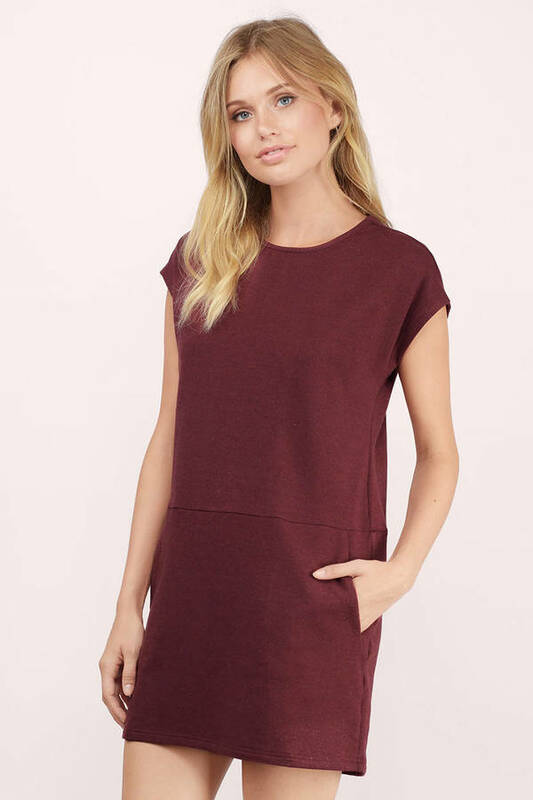 Take it easy in the Wine At Ease Sweatshirt Shift Dress. With a scoop neck and cap sleeves, this sweatshirt dress has two side pockets for effortless style. Team this casual mini dress with booties for your weekend mooching. 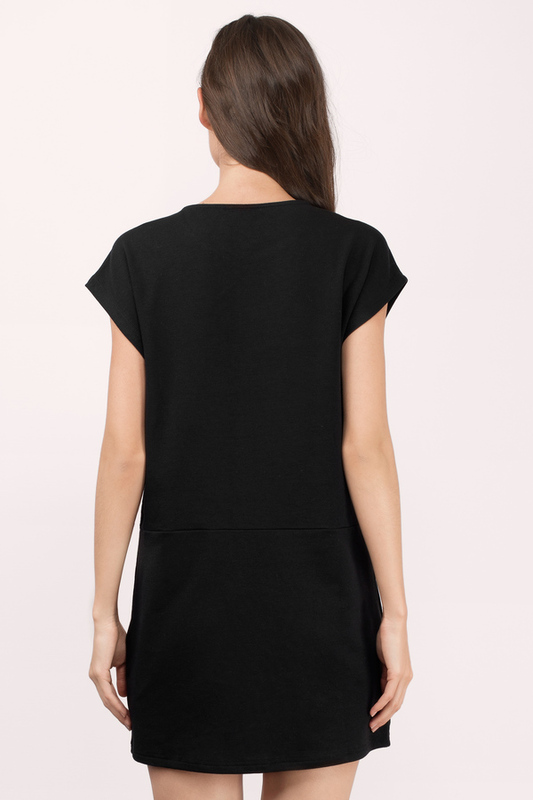 Take it easy in the Black At Ease Sweatshirt Shift Dress. With a scoop neck and cap sleeves, this sweatshirt dress has two side pockets for effortless style. Team this casual mini dress with booties for your weekend mooching. Take it easy in the Grey At Ease Sweatshirt Shift Dress. 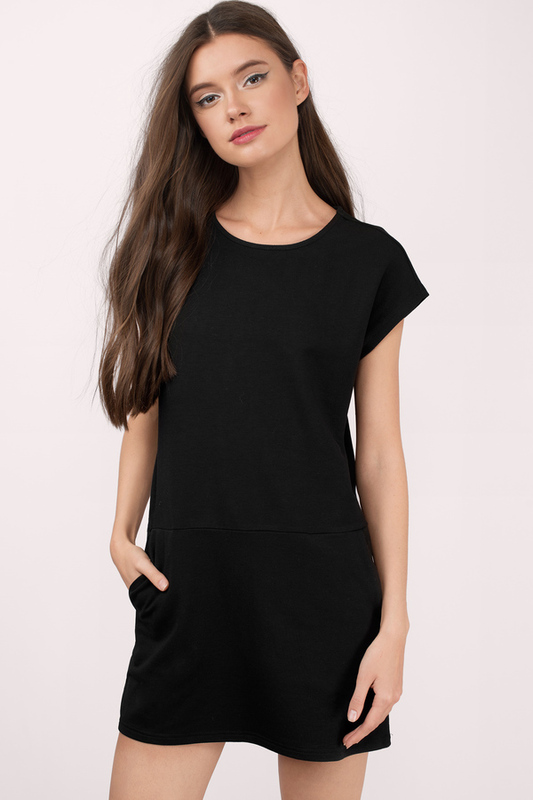 With a scoop neck and cap sleeves, this sweatshirt dress has two side pockets for effortless style. Team this casual mini dress with booties for your weekend mooching.